Over the last year or so here in southern Illinois more educators are stepping through the ropes and learning how to wrestle. It's in part due to a lack of funding on the state level. Teachers and administrators are wrestling at benefit shows for their schools, putting their bodies on the line in an effort to overcome shortcomings from state coffers. I've talked with Jerry Travelstead before on the My 1-2-3 Cents podcast. He's the superintendent at Pinckneyville Community Consolidated School District 204 and has taken his love of wrestling to the next level. He and teacher Josh Plumlee are trained wrestlers who have gigs on weekend wrestling shows around the region. Jerry is hosting a fundraising show November 5 that will feature WWE Hall of Famer Bushwhacker Luke. Other local favorites like Heath Hatton, Ax Allwardt and Tony Flood (who battles Jerry for Stride Pro Wrestling's new Legacy Championship. 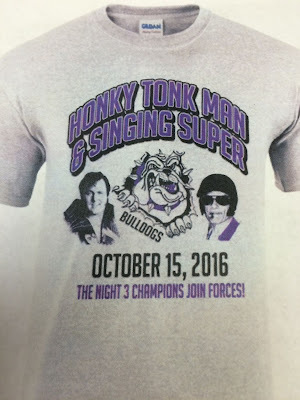 Another superintendent in southern Illinois, "The Singing Super" Mike Gauch, makes his in-ring debut October 15. He teams up with the Honky Tonk Man to battle HTM's former manager Jimmy Hart and Disco Inferno. Brian Christopher will be a part of the show clashing with Dalton Diamond (also of Stride Pro Wrestling) Jerry Travelstead teams with Heath Hatton to battle Daniel Eads and Chris Hargas. 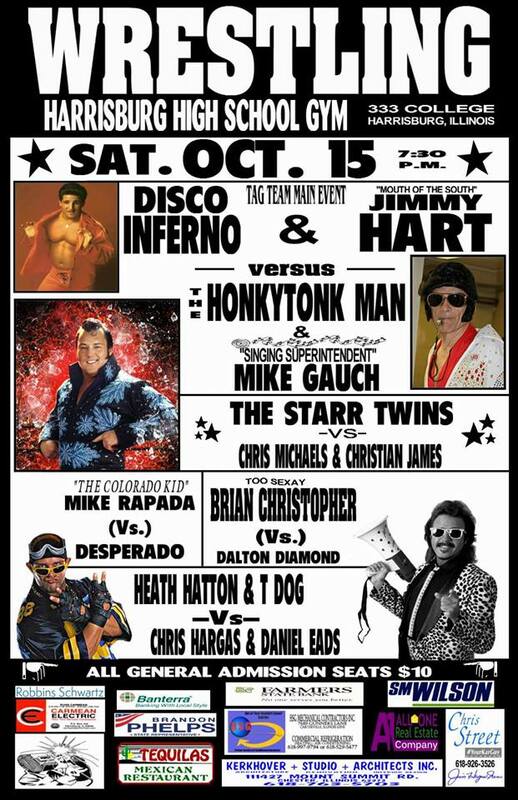 "Colorado Kid" Mike Rappada also wrestles against Desperado. This show is being held at Harrisburg High School. Bell time is 7:30 p.m.
Come out and support not just the independent wrestlers and legends in the ring, but the students, faculty and staff impacted by budget problems in Illinois. I salute these educators who are taking a stand to help their schools and the communities they serve.